If you are a dog owner or are considering becoming one, why not go along to Milngavie Town Hall next Monday (July 24) to find out more about how to care for your pooch. The council, in partnership with the Dogs Trust, is holding the free roadshow between 11am and 3pm to promote all aspects of responsible dog ownership. As well as finding out about the legal implications of owning a dog and the importance of training and socialisation, a veterinary nurse from the Dogs Trust will also be on hand to carry out a general assessment of your dog’s health and will be offering free micro chipping and nail clipping. 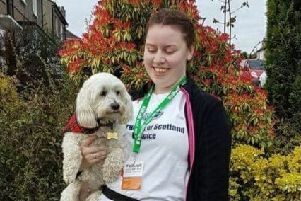 Depute Council Leader Gillian Renwick said: “This is a great opportunity for dog owners to get free access to advice on all aspects of taking care of pets responsibly. “From legal requirements to information on pet insurance and recognising signs of ill health, all questions will be answered by the team who have a wealth of experience in caring for dogs.